The Sustainable Sites Initiative, a partnership that includes The University of Texas at Austin’s Lady Bird Johnson Wildflower Center, invites public comment today on a new report that offers the most comprehensive set of voluntary guidelines yet developed for sustainable landscapes. Titled “Guidelines and Performance Benchmarks Draft 2008,” it provides more than 50 prerequisites and credit options that cover everything from initial site selection and design to construction and maintenance. The Sustainable Sites Initiative, which also includes the American Society of Landscape Architects and the United States Botanic Garden, is asking for comments before Jan. 20, 2009, on the report that is available for download here. The report is timely because of increased concerns about such environmental issues as scarce resources, climate change, waste, and air and water pollution. Landscapes have the potential to use resources more efficiently and to improve air and water quality, and they can reduce the urban heat island effect and remove carbon dioxide, an important greenhouse gas that contributes to global warming, from the atmosphere. Previous efforts to address sustainable practices in the design and construction industry mostly focused on buildings. A recent consumer survey conducted by the American Society of Landscape Architects (ASLA) reflects this disparity. While only 58 percent surveyed said they used energy and resource saving practices in their yard, lawn or garden, many more (96 percent) used similar practices in their home. The previous lack of comprehensive efforts to address sustainable landscapes has left major economic, political and environmental issues unsolved. For example, the report notes, “At a time when water usage in the United States is up 209 percent since 1950, irrigation of unsustainable landscapes accounts for more than a third of residential water use – more than seven billion gallons per day nationwide.” The heat island effect continues to raise peak summer temperatures as much as nine degrees Fahrenheit, increasing utility costs, air pollution and heat-related illnesses. The report offers new, powerful tools to address these and other important problems. The “Guidelines and Performance Benchmarks Draft 2008” is the second report from the Initiative that formed to create the voluntary system to evaluate sustainable landscape design, construction and maintenance. The U.S. Green Building Council is lending its support to this project and anticipates incorporating the Initiative metrics into future versions of LEED® (Leadership in Energy and Environmental Design) Green Building Rating System. More than three dozen technical advisers in hydrology, vegetation, soils, materials, and human health and well being contributed thousands of hours to ensure the credits could apply to any landscape, with our without buildings. An online form is available for the public to provide feedback on this draft. Responses will inform the final “Guidelines and Performance Benchmarks” which will be released in summer 2009. For frequently asked questions about the Initiative, please visit the Sustainable Sites FAQ page. About ASLA Founded in 1899, ASLA is the national professional association for landscape architects, representing more than 18,200 members in 48 professional chapters and 68 student chapters. Landscape architecture is a comprehensive discipline of land analysis, planning, design, management, preservation, and rehabilitation. ASLA promotes the landscape architecture profession and advances the practice through advocacy, education, communication, and fellowship. Members of the Society use their “ASLA” suffix after their names to denote membership and their commitment to the highest ethical standards of the profession. About the Lady Bird Johnson Wildflower Center The Lady Bird Johnson Wildflower Center at The University of Texas at Austin is dedicated to increasing the sustainable use and conservation of native plants and landscapes. 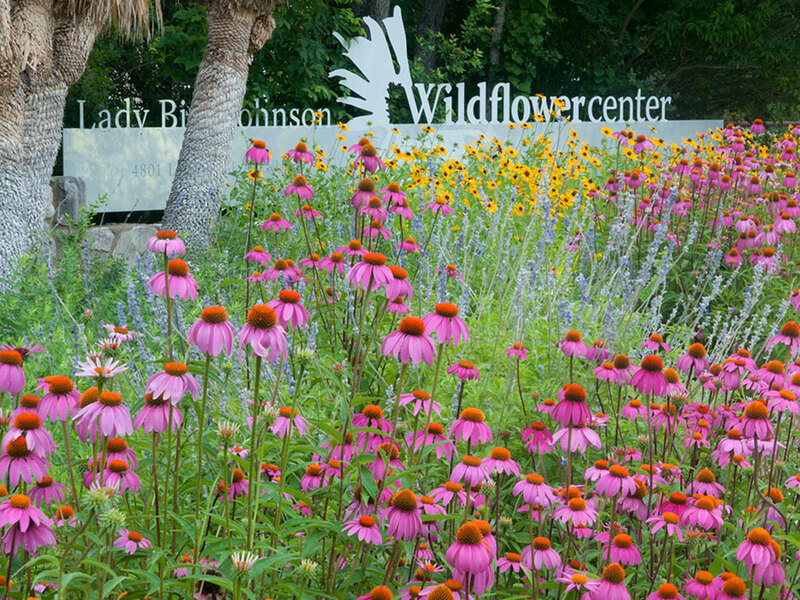 Founded in 1982 by Lady Bird Johnson, the former first lady, the Wildflower Center maintains an extensive native plant botanic garden and offers professional and adult education. 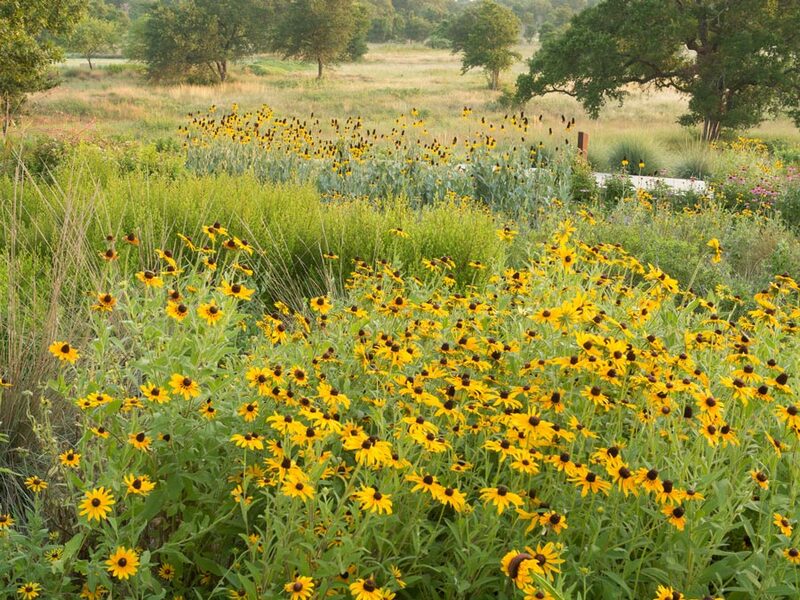 The Wildflower Center also conducts research on landscape restoration and plant conservation at its 279-acre site, promoting the role of native plants in addressing ecological problems. Recent research initiatives focus on native turf grasses, green roof technology in a sub-tropical climate, prairie restoration methods including prescribed fire, the control of invasive species, and ways in which native plants can aid in combating climate change in urban landscapes. About the United States Botanic Garden Dating from 1820, the United States Botanic Garden (USBG) is one of the oldest botanic gardens in North America. Operating under the jurisdiction of the Joint Committee on the Library of Congress since 1856, the Garden informs visitors about the importance and fundamental value of plants to the well-being of humans and our planet. It also highlights the diversity of plants worldwide, particularly their aesthetic, cultural, economic, therapeutic, and ecological significance. With nearly a million visitors annually and located on the National Mall, the USBG strives to demonstrate and promote sustainable practices for individuals, organizations, and institutions. The U.S. Botanic Garden is administered through the Office of the Architect of the Capitol as part of the Legislative Branch of the Federal Government.